View cart “College and Universities Magnets” has been added to your cart. What are artist-enhanced archival giclée prints? As you walk along bustling 5th Avenue in Oakland there is an excitement in the air that brings a smile to your face. 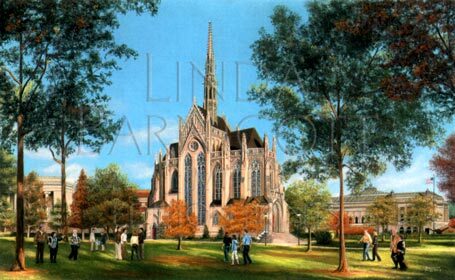 When you reach the corner of Fifth Avenue and South Bellefield, your eyes rest on the beautiful, majestic Heinz Chapel. As the organ resounds, one only has to look to its exquisite stained glass windows to become inspired by “The Glory of Heinz Chapel”. Send for this exquisitely painted limited edition print today and make it a special gift that is sure to be treasured for years to come. 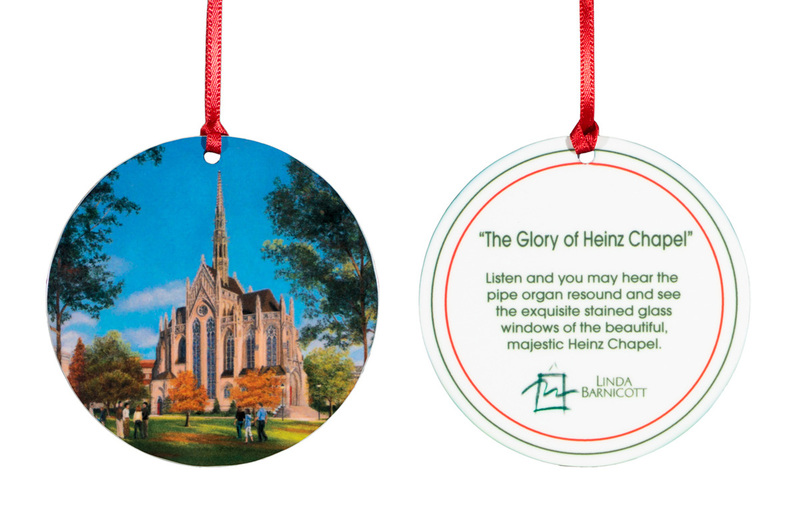 Listen and you may hear the pipe organ resound and see the exquisite stained glass windows of the beautiful, majestic Heinz Chapel. An artist-enhanced archival giclée print is a limited edition print that is reproduced digitally with a process utilizing six specially formulated archival pigmented inks and a sophisticated color matching system. The paper used is archival quality and acid free. The giclée reproduction system produces prints that are superior in color and likeness to Linda’s original paintings. They will not fade or discolor and will last a lifetime. Linda adds further value to her giclée prints by personally enhancing them by hand with rich, soft pastels and strong vibrant colors. 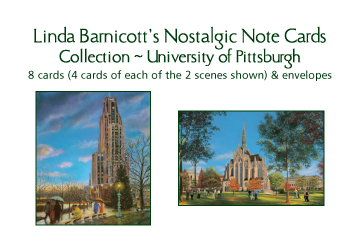 Linda Barnicott is very happy to add prints using this quality reproduction method to her line of nostalgic limited edition prints.